On your File Upload field, kindly turn OFF the "Limit Number of Files" since it will require the user to upload based on the exact number you set which is 40. The recommended number of file uploads per submission is 25 files. Please read the guide below regarding the File Upload limits and recommended numbers per submission. 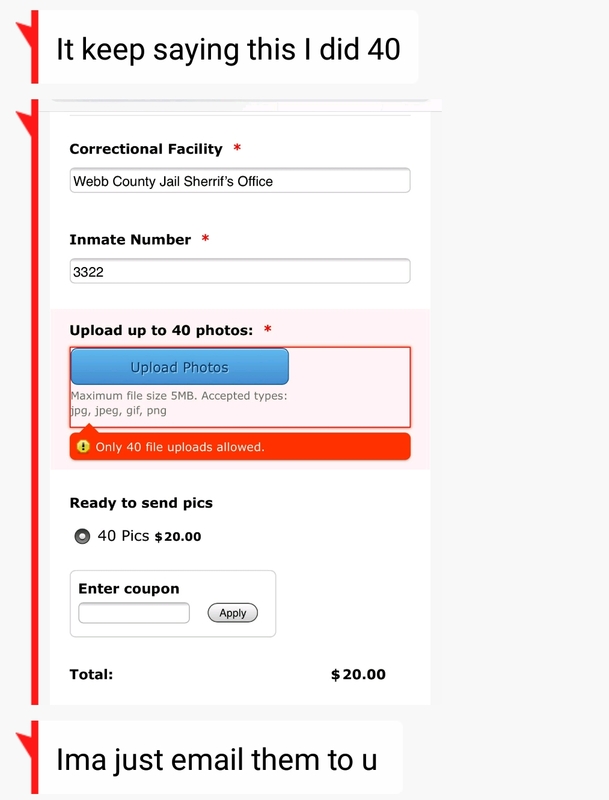 You can also integrate your form and uploads to Dropbox or Google Drive.